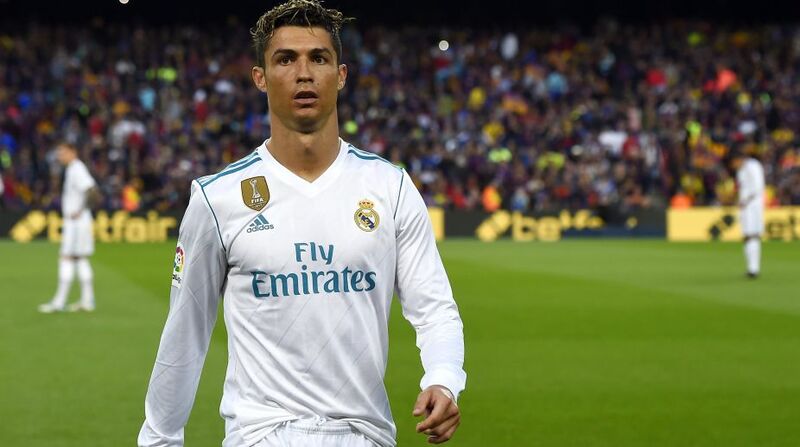 The La Liga El Clasico between champions FC Barcelona and Real Madrid ended in a 2-2 draw despite the former being reduced to 10 men at the half-time here on Sunday. Luis Suarez gave Barcelona the lead in the 10th minute, connecting across from Sergi Roberto from the right at the Camp Nou Stadium. But third-placed Real Madrid took only four minutes to come up with the equaliser through a strike from Cristiano Ronaldo, who marked his 450th goal for the record European champions. During the first-half injury time, Barcelona right-back Sergi Roberto appeared to throw a hand towards Madrid left-back Marcelo’s face in and was shown a red card. Despite playing with a player short, Barcelona came out strongly in the second half, with Lionel Messi giving the Catalan outfit a 2-1 lead. Madrid struggled to break through with talisman Ronaldo being substituted by Marco Asensio following an injury. Real Madrid restored parity after a Toni Kroos’ through ball to Welsh forward Gareth Bale saw the latter come up with a powerful finish at the left post in the 72nd minute. Four minutes later, Real thought they should have been awarded a penalty after Marcelo was brought down inside the box by Jordi Alba. Afterwards neither side was able to score a winner as Barcelona settled for the draw in a game marred by controversies in front of nearly 97,000 crowd as they continued their unbeaten campaign. Real Madrid wasted the opportunity to cut the deficit to second-placed Atletico Madrid, who were stunned by Espanyol 0-2 earlier in the day. While Atletico have 75 points from 36 games, Real Madrid have 72 points from 35 matches. “I would liked to have won. In a Clasico where there was nothing at stake, it was a great game. We both went out to play. We both played a great game and football is always the most important thing, more so than the controversies,” Real Madrid head coach Zinedine Zidane was quoted as saying by Marca.